I’m having one of those days when I REALLY wish I could have picked another path for my life. 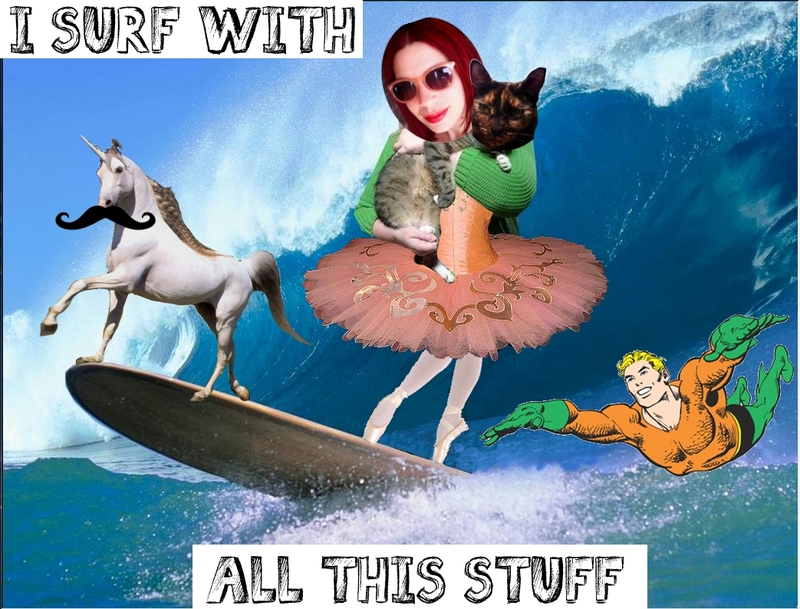 It is epically implausible as a date with Aqua Man and a mustached unicorn while surfing in a Tutu holding my cat. But I can dream it today and today I can give me permission to dream it and not feel bad about it tomorrow. Ha! I love unicorns! The handlebar moustache is a great touch too. Who doesn’t like those?! I have those days too. I would have loved to be a professional dancer. Law is so stressful. But i suppose professional dancing is no walk in the park either. I try to believe that we are what we are when we are supposed to be. If i was supposed to be a professional dancer, it would have happened. I am meant to be a lawyer. I help people and it is very fulfilling. Dancing is fun and it fills a void in my soul. But I feel you my dear lady. I definitely do. I am here to serve. Ha!